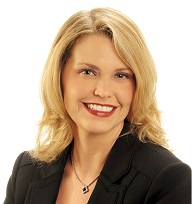 Dr. Christina Dillahunt-Aspillaga has been promoted to the position of Chair of the American Congress of Rehabilitation Medicine(ACRM) International Military and Veterans Networking Group (MVANG). In this role she will charge an Executive Committee and will provide leadership and support to four Task Forces. This position was previously filled by Dr. Joel Scholten, Director of the National Physical Medicine and Rehabilitation Program in Washington DC at the VA Medical Center. The MVANG fosters collaboration among researchers, clinicians and organizations (both public and private) and provides high quality evidence-based education and training to rehabilitation professionals to promote and advance the science and practice of rehabilitation appropriate for military and Veteran populations and their family members. This is accomplished primarily through Annual Conference offerings and other product development including web-based content, fact sheets, articles for publication in the Archives of Physical Medicine and Rehabilitation Journal (APMR) (Impact Factor 3.077), as well as dynamic and committed leadership of and participation in the MVANG task forces.